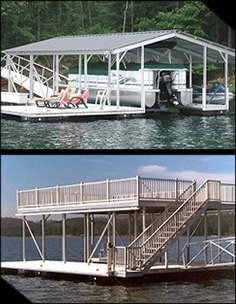 Servicing the marine construction industry has been a top priority for Upstate Industrial Supply for more than 15 years. As the building materials and methods have evolved, so have we. Today, Upstate Industrial Supply is one of the largest distributors of stainless hardware in the Southeast. Providing knowledgeable personnel, extensive warehouse space, and (real) inventory, we meet the just-in-time needs of your industry. Whether you need 100 parts or 100,000 parts, UIS is your trusted and timely solution. Stock and Release programs are available for high-usage items (e.g., floor screws, bonded sealing washer roof screws, etc.) Our program ensures a reliable supply line at an established cost. Upstate Industrial Supply is a stocking distributor of Stainless, Galvanized, Zinc, and specialty-coated hardware. We have most any part for any need!